Topic: Alex's Freedom Fortress 3Oct2016 - Mod Fix! Re: Alex's Freedom Fortress Update - 02Jun2014- More C6 Skins and The Batmobile! Holy old school pimp ride Batman! That's awesome. That is definitely a great surprise! So awesome! In fact, that is too awesome! Hey Alex, I've got all of C6's stuff from the Toybox if you need any of that. Thx Benton, I may do. Should wrap up his basic Marvel stuff very soon. And then I'll get into his Toybox/Champions of Freedom stuff. I'll just upload the zip and send you a link. That's probably simplest. •Posted FFv3R Mod Tools to allow people to more easily create mods when they have the Steam or GOG version of FFv3R. •Compiled the classic FF mod, Super Powers, and made it available again. •Pretty much completed work on a major new version of EZHero with a ton of new features (just waiting for a last beta check before release). •Started reposting Courtnall6's Marvel skins (about 200 up already) and will continue with his ToyBox and Champions skins. Firstly, I can't believe it's been 40 days already. I swear that it feels like I'm going through a time jump. Secondly, THIS UPDATE IS AWESOME! Can't wait to check out the Beetle Bug or the Torches! Wow! Look at all that awesomeness! That's great Alex and Kenn! Impressive and awesome update Alex and Kenn. Can't wait to check these out. Catman! I was just working on a hero file for him. 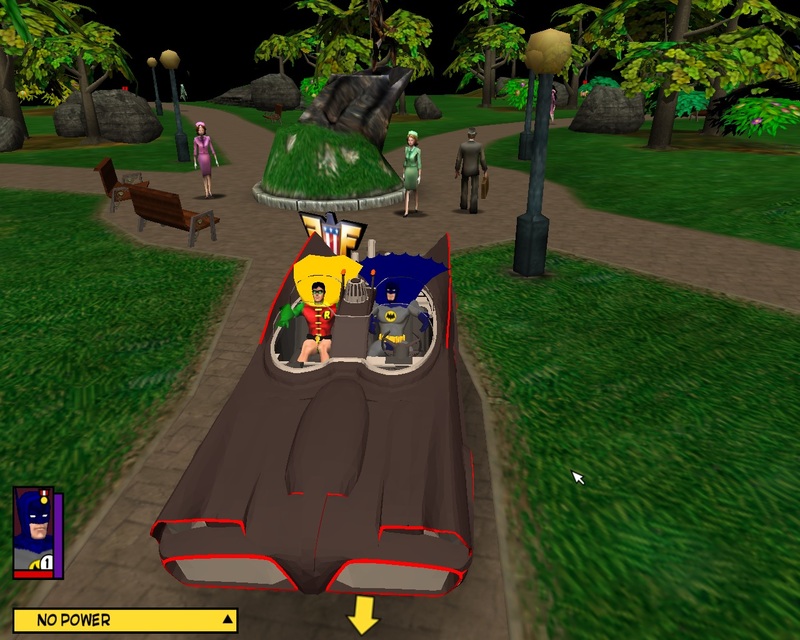 It says that Catman was based on Renegade's Batman mesh. If Ren did a Batman, mesh I'd like a copy, please. I don't think that the Catman is the one you're thinking of, Lantern. As far as I know, Ren never made a "Batman" Mesh, however, after looking at Kenn's "Cat-man" Skope, I would say that it is most likely based on Gren's first "Batman_Gren" Mesh. Thanks for the catch on that, guys. I've corrected the Peruse Me file and reloaded it, so Alex can use it to replace the one with the incorrect information. It is EXACTLY the Catman of whom I was thinking. I think Ren had been working on a Batman once upon a time. He was supposedly working on a Penguin at one point too, IIRC. I've been going through C6's section and have found a bunch of Skins that I don't seem to have. It's always very cool getting new toys to play with. Thanks for doing this Alex. I think he had mentioned that he was working on a Doctor Doom Mesh as well, he's another one whose Computer I would love to raid. Kenn, I've updated the download file to the one with the corrected file. Would people like to see the Americomics version of Kitten made as well? What a silly question... OF COURSE WE DO! •New Smart Settings screen and Smart Paths - lets you check and set all your paths (Hero Files, FF Meshes, FFv3R meshes, DAT files) easily. Automatically adjusts to the right path based on what type of file you are editing (FF or FFv3R). The pulldowns include common FF/FFv3R paths for GOG, Steam, or CD, or type your own. Re: Alex's Freedom Fortress Update - 10Jun2014- EZHERO 3.4! Yay i cant wait to try this out tomorrow. Forgot to mention that I also spent time going through every screen in ezhero making sure tabs worked right anf fonts were consistent. A lot of GUI cleanup basically. But it makes it easier to use. Thank you so much for the updated EZHero! It is awesome!